ISO develops International Standards. ISO founded in 1947, and since then published more than 19 000 International Standards covering almost all aspects of technology and business. 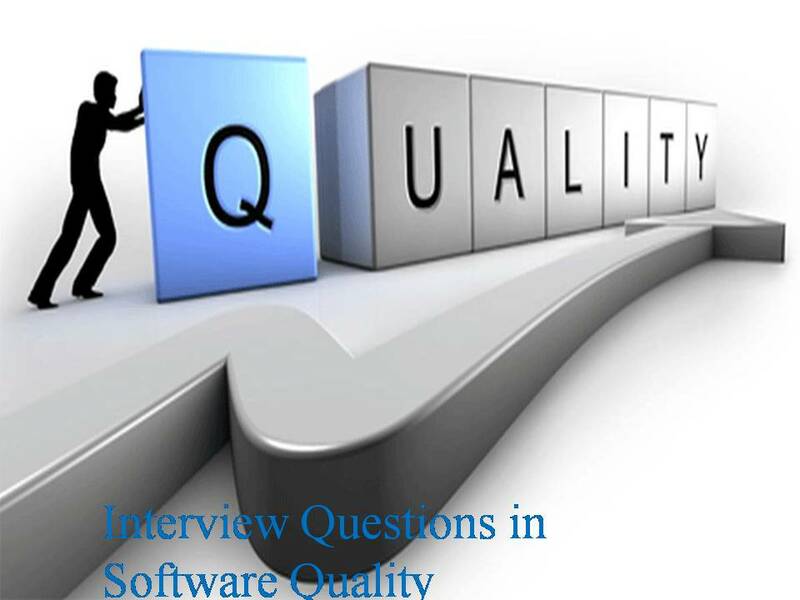 2) How ISO is related to Software Testing? The aim of ISO/IEC 29119 Software Testing is to provide one definitive standard for software testing that defines vocabulary, processes, documentation, techniques and a process assessment model for software testing that can be used within any software development life cycle. 3) What is ISO/IEC 29119? 4) What is ISO Test Documentation Standard? Test Documentation standard covers test documentation across the entire software testing life cycle. IEEE have given ISO permission to use the well-known IEEE 829 Test Documentation standard as a basis for this part of the standard. 5) What is ISO Test Techniques Standard? Institute of Electrical and Electronics Engineers describes itself as “the world’s largest technical professional society.It provides standards for Power, Energy, Telecom, Information Technology and Aviation etc… Industries. 7) What is IEEE 829 Standard? An IEEE standard for Software Test Documentation, Provides Test documentation templates from Test Planning to Test Closure. Test Plan: A detail of how the test will proceed, who will do the testing, what will be tested, in how much time the test will take place, and to what quality level the test will be performed. Test Design Specification: A detail of the test conditions and the expected outcome. This document also includes details of how a successful test will be recognized. Test Case Specification: A detail of the specific data that is necessary to run tests based on the conditions identified in the previous stage. Test Procedure Specification: A detail of how the tester will physically run the test, the physical set-up required, and the procedure steps that need to be followed. Test Item Transmittal Report: A detail of when specific tested items have been passed from one stage of testing to another. Test Log: A detail of what tests cases were run, who ran the tests, in what order they were run, and whether or not individual tests were passed or failed. Test Incident Report: A detail of the actual versus expected results of a test, when a test has failed, and anything indicating why the test failed. Test Summary Report: A detail of all the important information to come out of the testing procedure, including an assessment of how well the testing was performed, an assessment of the quality of the system, any incidents that occurred, and a record of what testing was done and how long it took to be used in future test planning. This final document is used to determine if the software being tested is viable enough to proceed to the next stage of development. 8) What is IEEE Test Plan template? 9) What is IEEE Test Case template? 10) What is IEEE Test Incident Report template? 11) What is IEEE Test Design Specification template? 12) What is IEEE Test Procedure Template? 13) What is IEEE Item Transmittal Report template? 14) What is IEEE Test Log Report Template? 15) What is IEEE Test Summary Report template?